Are you aged 45 or over and not currently in full-time employment? The Scunthorpe Central Writing Group meets once a month in the library meeting room at Scunthorpe Central to share their creative writing. The group are keen to welcome new members, so if you would be interested in joining, please drop in at 2pm. 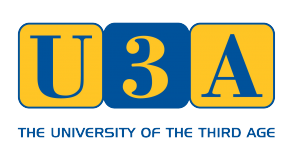 Members of the group also belong to the University of the Third Age (U3A). If you would be interested in continuing membership of the writing group, membership of the U3A is also a requirement, for a small annual subscription fee. The group can give you more information about this when you drop in.